Born in a small town, J. Armitage longed for adventure and travel. Age 20, she moved to Dublin, then to San Diego, Then Sydney and back to California where she did a brief stint working at Universal Studios being a minder to Sponge Bob. Once back in Britain she got married, had babies and decide to write about the adventure she was now missing out on. She works full time, is a mum to three kids and has had a surrogate baby. 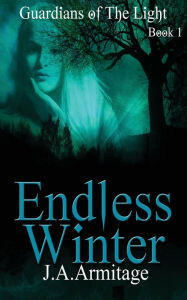 Her first novel, Endless Winger, is the first of the four part Guardians of The Light series.